The year is 2022. Both crime and unemployment are at an all-time low in Northern America. Why, you may ask? Because of an annual event known as The Purge. This event details that for a 12 hour period for one night a year, any and all crime is legal. Usually, this is fine for the Sandin family, until one night, overly friendly son Charlie allows a mysterious stranger into their home in order to escape a bunch of armed attackers, who wish to kill him. when they address father James, they make it clear; give up the hostage, or the family will be killed. To give it justice, this is a pretty neat idea. Not only does it make for a seemingly original home invasion thriller, but it also works as a social/political commentary as to the causes and justifications of modern crime. Yet, it almost feels as if writer/director James DeMonaco grew tired of his own idea by the time the film reaches it's second act. There's so many questions that aren't answered, and so many interesting and possible plot points skipped. Before viewing The Purge, I was unsure what genre to label it; is it a horror? A thriller? An action film? Even now that I've seen it, I'm still not entirely sure. The film is at it's strength for the first 40 minutes. We're introduced to the characters, given an adequate (yet potentially annoyingly limited) amount of information as to the motives of the annual purge, and we're presented with numerous possible hints and foreshadowing almost immediately. From the moment the house enters "lockdown", DeMonaco ensures we are always on the edge of our seat. Gaping shadows fill the backgrounds of each shot, slow but shaky camerawork makes us think something could happen, and before we know it, the house is thrown into darkness. As a horror film, it's a fantastic opening, bolstered by strong performances, even from the kids. But then, it all goes downhill. By the time the attackers break into the house, any hope of tension or interest is lost. DeMonaco gives in to almost every action/thriller convention you can name, and ultimately we stop caring for the characters. The same tricks are used numbingly repetitively; every time a family member is in danger, another family member pops up to save the day. It also becomes overly violent; for a film that begins with effectively slow, creepy methods, it eventually caves to having most characters stabbed, axed or shot, with excessive amounts of blood. This also beckons the question "Why do people see murder as the only crime?". I don't know about you, but if all crime was legal for a night, I'd be down to the local hardware store taking any widescreen television I could get my hands on, yet the only events we're shown are increasingly violent assaults and murders. It just goes to prove that any effort and originality the film previously owned is destroyed by the final act, by which point I'd lost interest. 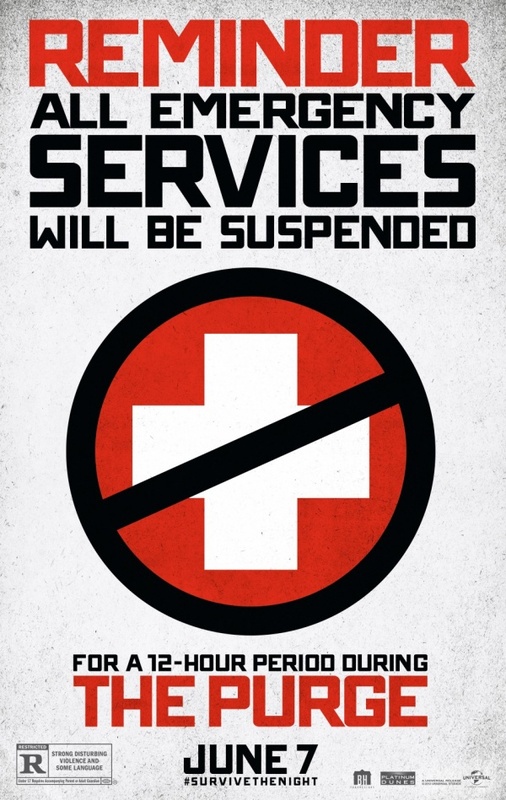 Credit where it's due, The Purge is a great idea, and could easily spawn a lengthy, and worthwhile franchise. The film ends with a subtle announcement that the annual event will continue next year, hinting at a possible sequel. It could work; the same event, but a different family, and a different story. To begin with, The Purge really works. It will have you on the edge of your seat for first half, it's just a shame they didn't know where to take it after that. But who knows, with time and more thought out writing, this could be the set up for a strong, interesting franchise, with great longevity. 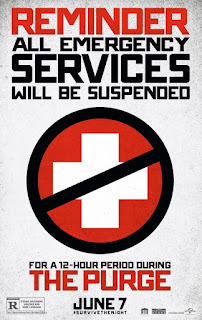 To Summarise: Despite a strong opening, and a refreshingly unique approach to modern thriller, "The Purge" subsequently gives in to repetition and conventional, exaggerated violence.